As politicians debate the technical details of the UK's complex EU divorce, Google data given to our team in #TheCube reveals what people in the UK really want to know. The second-most googled Brexit question in mid-September was "What is Brexit? ", according to a break down by Google Trends. Also in the top 10 were concerns about how Brexit could hit property prices, when and if Brexit will happen and what a 'no deal Brexit' would entail. 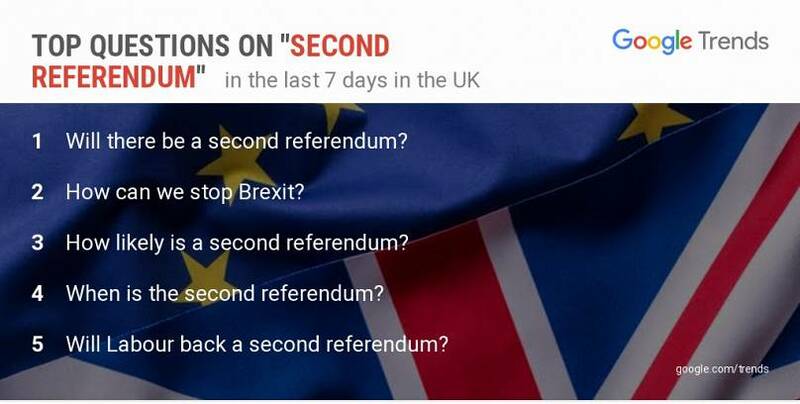 With some EU leaders now publicly backing calls for a second referendum, people in the UK have been googling a range of questions on the topic. Also among the top questions were the odds of a victory for the Remain campaign should there be a second referendum. 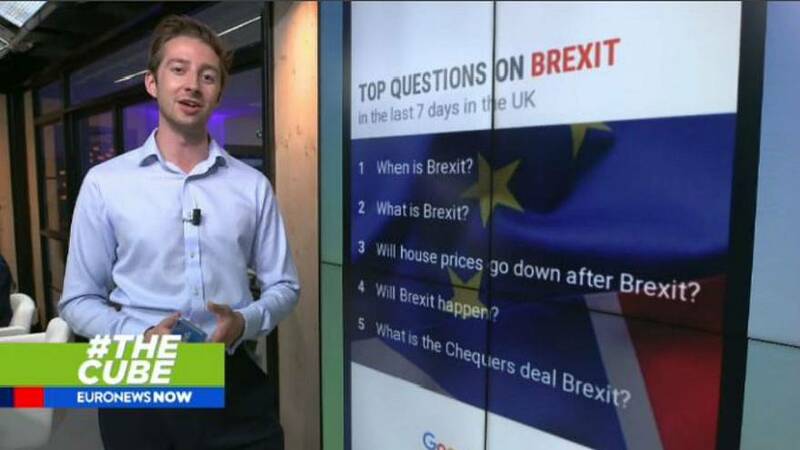 Looking across the whole of Europe, Google data from July and August showed that people right across the European Union were still asking "What is Brexit?". 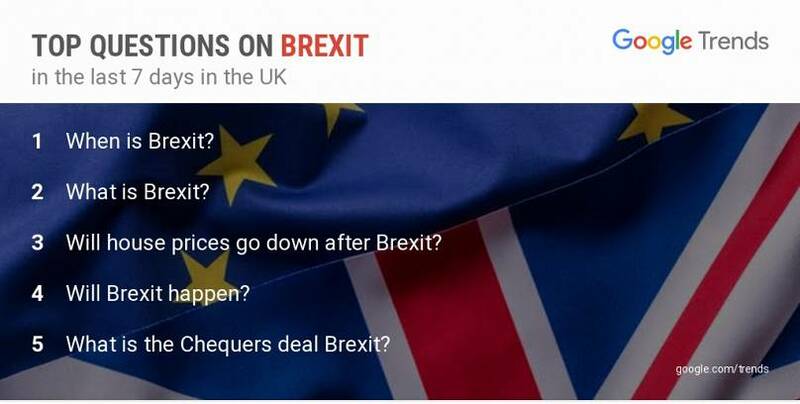 That question was in top five most frequently googled Brexit questions in Austria, Belgium, Bulgaria, Czech Republic, Denmark, Estonia, Finland, France, Germany, Greece, Ireland, Italy, Lithuania, Luxembourg, Malta, The Netherlands, Poland, Portugal, Romania, Slovakia, Spain and Sweden. For more information on how Google collects this data, and what it means, click here.